Do you remember Horace Pumphrey? Horace Pumphrey graduated in 1942 and was inducted into the Hall of Fame in 2017. 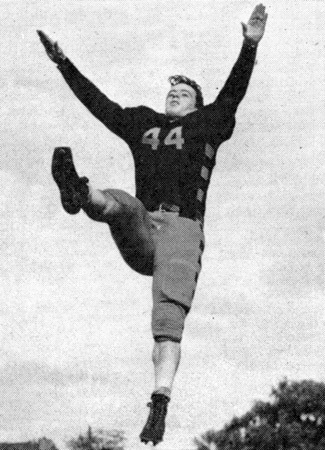 Horace Pumphrey was a four year starter in Football and was Voted First Team all-City in 1939, 1940 and 1941. 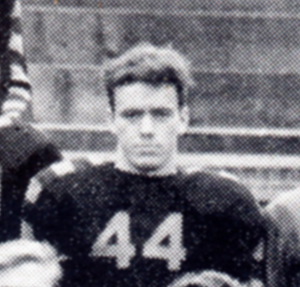 He was voted First Team All-Ohio by the AP in 1941. While at Withrow under CPS Hall of Fame Coach Angus King, the Tigers finished 8-1 in 1938, 7-1 in 1939, 6-1-1 in 1940 and 8-0-1 in 1941. Horace led his teams to PHSL Championships in 1938, 1939 and 1941. During his outstanding High School football career, Withrow won 29, lost 3 and tied 2; and his teams averaged 18.2 ppg while holding opponents to 3.3 ppg. He attended the University of Wisconsin and later joined the Marines. Horace was wounded in the South Pacific and received a Purple Heart. He won medals while competing in the Senior Olympics, even after turning 60 years old. His career was in the insurance industry. Horace Pumphrey passed away in January 2009.